Many recreational punters will have thought about gambling for a living, either wondering if they have the talent to do it, or wondering how someone can make so much money from gambling that they can do it as their job. 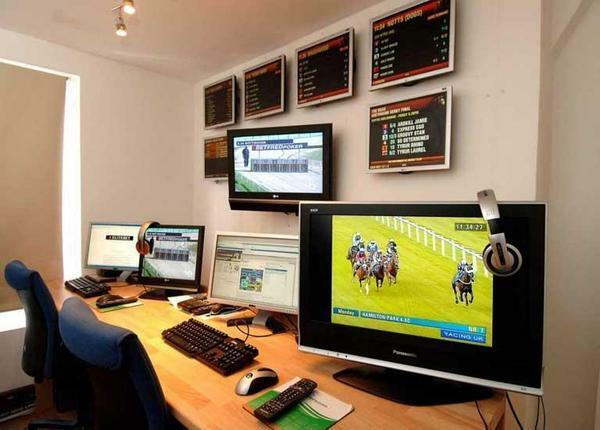 If you are one of the many who have thought about it, here is the inside track and a few tips explaining what the professional winning punters do, and steps that you can follow which start with finding new betting sites with UK license. You will have winning and losing days, just like you will have winning and losing weeks. However, the professional punters don’t worry about this, instead, they look at the stats over a much longer period. This is vital if you want to make a steady living from gambling, you don’t need to worry about short-term goals, simply focus on being a winner in the long term and the rest will work itself out. It doesn’t really matter whether you are a professional punter or a recreational one, you should take a day away from gambling when it is quiet. This is more important for pro punters, you are gambling for a living and therefore you should be giving yourself days off just like you would work in any other profession. With so much sport happening all year round, don’t worry about missing a day of the action, there is always another day. One way to the poor house is to back on all kinds of different events and sports, you will not be an expert in that many fields. Find something you know a lot about, and something that makes you money and stick to that. This doesn’t necessarily need to be a full sport either, you can narrow it down even further. For example, if you make a profit betting on Premier League football then stick to that and don’t bet on any other leagues. When you choose the best new betting site to sign up with, make sure they offer exactly what you need to make a profit. One of the worst things you can do is bet because you are bored and you have nothing else to do. These bets are often placed impulsively and that is when you are at your worst. If you don’t have anything to bet on that day, make sure you don’t log onto your betting site and look at what is available, this will only end badly. There is no such thing as being ‘on a roll’ or ‘due to a winner’ so make sure you don’t use these kinds of phrases when you are debating how to stake a bet. You should only ever think about one thing when you are staking and that is how strongly you fancy the selection. Use a point system and stake based on how much you fancy the selection, this will prevent you from making mistakes. One of the worst things you can do as a punter is being left behind. No one knows every single thing about betting and the sport they are betting on, so don’t be afraid to keep learning. Often you will find those that are the most successful in life are not those who keep up, but those who remain ahead of the field and to do that you need to keep learning.